Graduated with a Masters degree in Bioengineering from the National University of Singapore. In her previous position as a senior regulatory specialist with the Medical Device Branch in the Health Sciences Authority, she was involved in the pre-market review of medical device dossiers for registration. 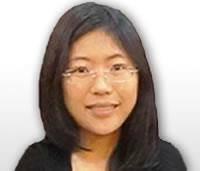 She has performed several trainings and presentations on the medical device regulations in Singapore. Internationally, she is the Co-Chair for the Working Group 1 of the Asian Harmonisation Working Party (AHWP) Technical Committee, which focuses on global efforts in harmonising medical device regulations, and also led the efforts in authoring the AHWP Playbook for Implementation of Medical Device Regulatory Frameworks. She is the current co-founder of Regulatory Associates LLP based in Singapore, which provides regulatory consultation services, including advice and preparation of medical device submissions in the ASEAN CSDT format.